We seem to be having an unofficial ‘collections week’ here on The Candy Perfume Boy (I’m thinking next week will be the unofficial ‘celebuscent week’, FYI). So far we’ve taken a stroll down to the docks to take a look at Penhaligon’s new merchant-inspired Trade Routes collection, as well as a gander back in time to review Lalique’s personal Noir Premier collection. Now it’s time for something entirely new from a start up brand with one of the perfume industry’s most experienced names behind it. This new brand is Dear Rose and it is the brain child of mother and daughter duo, Chantal and Alexandra Roos. Now, if you’re not familiar with the name Chantal Roos, you will be intrigued to know that she has been involved with the development of some of the industry’s greatest perfumes, namely; Yves Saint Laurent’s Kouros, Paris, Opium and Jazz; Jean Paul Gaultier’s Le Mâle; and Issey Miyake’s L’Eau d’Issey. An impressive CV for sure. Her daughter, Alexandra is also creative force however, where Chantal excels in olfaction, Alexandra succeeds in music and the synergy between these two mediums is what forms the basis of the Dear Rose brand. Dear Rose currently consists of five brand new perfumes inspired by women, roses and music. Each fragrance was created by perfumer Fabrice Pellegrin (the man behind Thierry Mugler’s positively unique Womanity, amongst many others) and plays on the idea of roses and music together to create a varied collection that showcases the incredibly diverse nature of one of perfumery’s most iconic materials. So how does fragrance fair when music meets rose? I Love My Man is an interesting one. At first, it feels a bit dowdy, boasting a sweet melange of iris powder, rose and cinnamon, that gives the impression of a beige kind of baby powder. It seems to present this idea in a way that is reminiscent of Caron’s stunning Parfum Sacré, albeit in a lighter and more transparent way. There’s warmth, but it’s a subtle heat that shrouds one in a veil of silk as opposed to thick wrappings of cotton or wool. As I Love My Man dries down, it becomes more auburn with a base of finally milled amber. Again, things never lose that slight of hand approach, and where many fragrances diverge into plush, gauzy sweetness, this one keeps the sugar but scrimps on the weight. The balance is pleasing, and whilst I Love My Man isn’t an incredibly unique fragrance, it does play a familiar tune in a very pleasing way. I’ll file it under the heading of; ‘no great shakes, but nicely done’. A Capella is easily the most distinct fragrance in the collection. That said, much like its stable mates, it doesn’t present any new themes, but it does showcase a familiar idea, and does it well. A Capella is an ode to the fresh and green aspects of the humble rose, opening with the scent of citrus dew hanging on rose petals, before slowly unfurling the bud to reveal a pale pink flower. The sharpness of this citrus and rose, which can so often verge on astringent in such a fragrance, sits at just the right pitch, opting to stridently hum rather than screech. The green facets strengthen with time and eventually take over with time, leaving for a verdant base of rose leaves, ivy and cedar wood. A Capella is easily the standout of the Dear Rose collection, and whilst it speaks in a voice similar to say, Acqua di Parma’s Rosa Nobile, this dewy rose is just so delightfully buoyant, one can’t help but enjoy it. 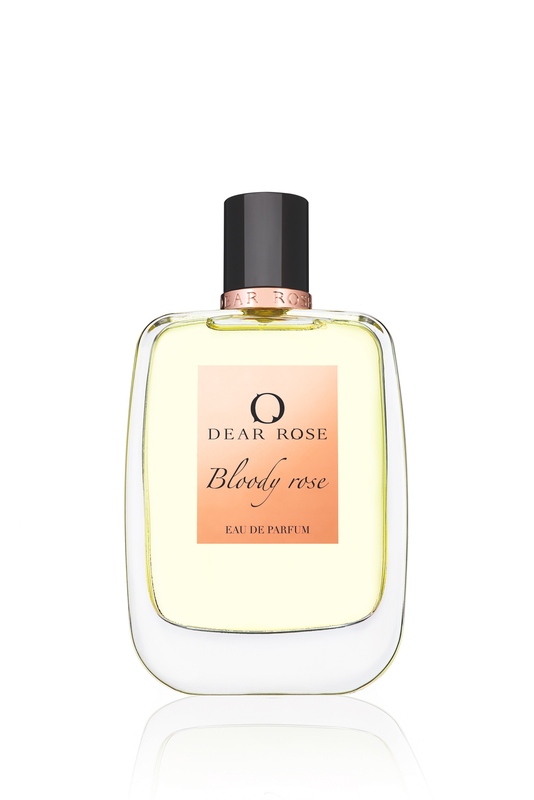 Bloody Rose is interesting because it really isn’t a rose at all, in fact it is most definitely an orange blossom, and one that is in the same vein as Elie Saab’s graceful Le Parfum. As with the Elie Saab, Bloody Rose’s orange blossom is astringent, sticky and radiant however, it does feel decidedly more mentholated with a touch of powder thrown in for good measure. The result is a fragrance that feels a bit more mature and less out to please everybody it encounters. Bloody Rose is much darker too, almost as if it shows orange blossom lurking in the shade. As it dries down it becomes dustier with incense and a sanitised patchouli note. The whole thing feels very au courant and of the moment, tapping into the designer trend for glowing florals, with the darker and more sour nuances here setting this one apart from the crowd. It seems that every collection nowadays has to have an oud (except the aforementioned Lalique collection, which refreshingly does not), and in this particular set of scents that cap is firmly placed on the head of La Favorite. This is an incredibly typical rose oud combination that is so utterly familiar that without knowing which one it was, my first sniff led to exclamations of “so this one must be the oud then”. Here, there’s a gleaming red rose, turned up to a standard level of screech, paired with a sour and medicinal oud note that is, once again, very in keeping with this style. Where La Favorite diverges from the norm slightly is in the base. Unlike many rose/oud combinations it has a robust base (many fall apart after the first few hours, having got bored with blaring out the same tune) that sits somewhere between floral and powdery, and dark and resinous. It’s a lovely finish that leads one to wish that the top notes were more interesting because in truth, the base is good, but I wouldn’t exactly say that it was worth the wait. Sympathy for the Sun definitely wins the award for the fragrance in the Dear Rose collection that has the most appealing, and interesting set of notes. The idea of a salty citrus-floral is a novel one, and whilst it works on paper, I’m not entirely convinced that the reality is as finely tuned as one would hope. The fragrance opens with a zesty burst of cologne-like citrus notes, with lime being the most prominent, quickly followed by a warm, glowing floral heart that is definitely more an abstract representation of flowers than anything specific. It’s a promising start. The issue I have with Sympathy for the Sun is that the salty note, which is boldly quite prominent, muddles things when blended with the warmth of the flowers. The result is something that is almost play-doh like, blending savoury salt with a marzipan sweetness that just feels a bit bothersome. Even more disappointingly, the base feels like a thin and plasticky sheet of bland woods that is reminiscent of Gucci Rush, but without any of the adrenalin. Still, I admire Sympathy for the Sun for attempting to do something a little bit different, and what it does portray is definitely very interesting, even if it is perhaps just a little bit too off-kilter to work. The Dear Rose collection is clearly a set of well-made perfumes. Smelling them, one can detect that they use high quality materials and have been put together with some level of creativity. That said, knowing that Chantal Roos was significantly involved with the creation of perfumes such as Opium, Kouros and Paris (arguably three of the greatest perfumes of all time), one can’t help but feel that the Dear Rose fragrances lack the boldness, the artistry and the sheer iconic nature of the Saint Laurent fragrances, and it’s quite surprising to think that there is any link whatsoever. Still, the quality is there, even if the ingenuity isn’t. 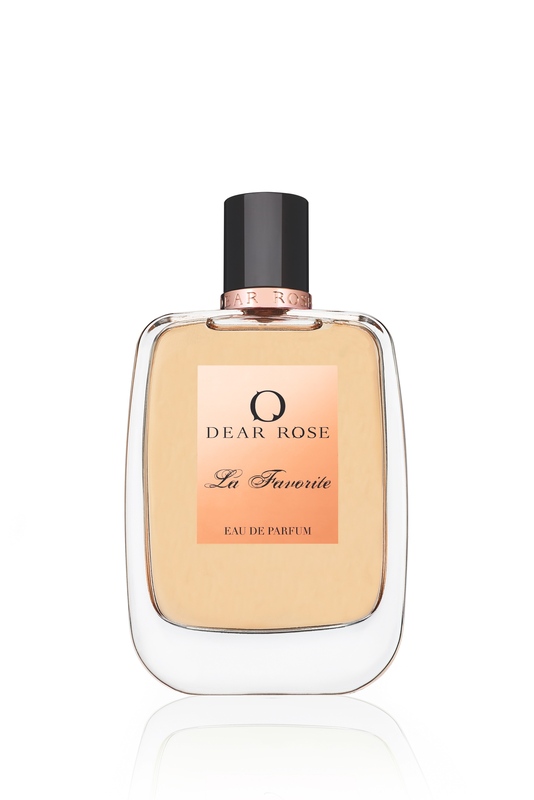 All five of the Dear Rose fragrances are available in 100ml Eau de Parfum for £105. Samples, notes, quotes and images via Dear Rose. Posted in Dear Rose, Perfume Reviews, Rose and tagged A Capella, Alexandra Roos, Bloody Rose, Chantal Roos, Dear Rose, I Love My Man, La Favorite, Perfume Review, Rose, Sympathy for the Sun, Yves Saint Laurent. Bookmark the permalink.